Steam is a simple way of cooking. But steam, always the best method to cook seafood. 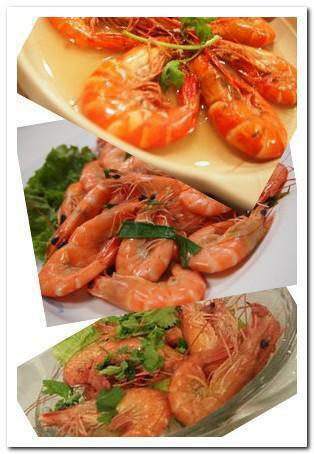 The freshness and the natural sweetness of the seafood can be retained after cooking. Steamed prawns is a popular Chinese dish. The prawns have to be really fresh, not much seasoning needed, make sure not over cook and serve hot. In a deep plate, add in all ingredients except coriander. Mix well. Steam for 6 – 8 minutes or until all the prawns turn red. Do not overcook.